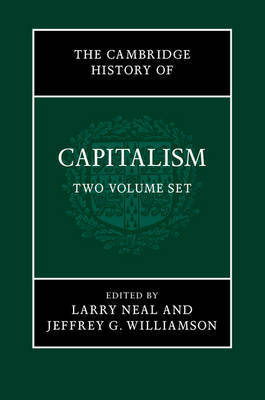 The Cambridge History of Capitalism is a comprehensive two-volume work that provides an authoritative account of the evolution of capitalism and its spread and impact across the world. Adopting a wide geographical coverage and strong comparative perspective, an international team of leading scholars delve deep into the historical roots of capitalism and provide a definitive reference on the global development of capitalism and the varieties of responses to it. Volume 1 traces the rise of capitalism from distant origins in ancient Babylon to modern times, determining what features of modern capitalism were present at each time and place, and why the various precursors of capitalism did not survive. Volume 2 explores the global consequences that capitalism has had for industry, agriculture and trade, along with the reactions by governments, firms and markets. These groundbreaking volumes will have widespread appeal amongst historians, economists and political scientists.